A new paper published in the current issue of Fisheries Research finds that giving recreational fishing businesses the flexibility to take customers fishing when they want to in exchange for carefully tracking what they catch is a win-win for the environment and the economy. The results of a pilot program show that this added flexibility and accountability enables more fishing trips over a year-round fishing season, higher earnings for businesses, better data collection, adherence to science-based catch limits, and improved conservation of fish populations. A growing number of commercial fisheries are operating under effective management that provides economic benefits to communities while ensuring fishermen stay within sustainable catch limits and contribute to rebuilding progress. This is good for the environment, the economy, and seafood consumers around the country. But unlike their commercial fishing counterparts, marine recreational fisheries have seen little policy innovation. Instead, they have been stuck in management that relies on season, size, and bag limits, promoting a “race to fish” resulting in even tighter regulations and growing waste of fish populations. The cost of inaction is high, as recreational fisheries are increasingly important to ocean ecosystems and coastal economies. 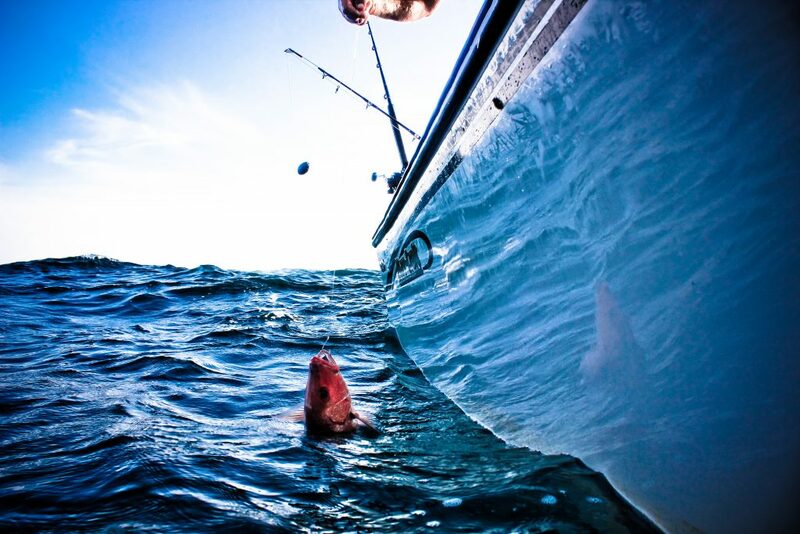 This failure of recreational fisheries management is showcased in the U.S. Gulf of Mexico, where large overharvests have become the norm and fishing seasons for popular species like red snapper, grouper, and many others are now closed for much of the year. The policy response has been business as usual – mostly characterized by conflict over who gets the fish rather than how to make better use of them. The system is failing anglers and fishing businesses alike. But a recent trial of an innovative management approach – one that combines flexibility to fish throughout the year with sustainable catch limits and improved monitoring – shows that recreational fisheries can escape the broken system just like many commercial fisheries have done. For two years in 2014-2015, a group of headboat operators (headboats or party boats are for-hire fishing boats that take large groups of people offshore fishing) tested a new approach to recreational fishery management. Nineteen participating headboats from across the Gulf of Mexico organized the Gulf Headboat Collaborative and obtained an experimental permit that exempted them from season closures. They agreed to be held to a higher standard of monitoring and enforcement, adhering to individual catch limits and using innovative monitoring and data collection tools to track what they caught. In exchange, they were given the opportunity to go fishing for red snapper and gag grouper throughout the year when it made the most sense for their customers and their businesses. Participants doubled the number of trips they took and took twice as many anglers fishing, maximizing use of limited quotas. Fishing trips were more consistent throughout the year, increasing fishing opportunities and providing a more diverse mix of species for anglers to catch. Net revenues increased for fishing businesses. Catch limits never were exceeded. Bycatch (fish that would otherwise be discarded and wasted due to closed seasons) decreased by approximately half. EDF has long recognized the theoretical potential for recreational for-hire fisheries to benefit from innovative management systems that have proven their worth in commercial fisheries. The results of the headboat pilot program establish strong evidence that this approach can indeed deliver benefits to for-hire fishing businesses, their angler customers, and the environment. It is a success story that offers a model for how to achieve similar benefits – year-round fishing, increased revenues, and improved conservation – at larger scale and for a broader group of recreational fisheries. The pilot program evolved as an industry’s response to unique management challenges in the U.S. Gulf of Mexico, but recreational fisheries around the world are struggling with similar challenges in contentious policy environments. Management experiments like this one offer relatively low cost opportunities to learn what works well and why, allowing policymakers to explore, adapt, and find real solutions. The results of the headboat policy experiment shine a spotlight on the promise of innovative management approaches that promote viable for-hire fishing businesses, expanded fishing opportunities for anglers, and thriving fish populations. This entry was posted in Domestic, Gulf of Mexico, Science/Research, Seafood and tagged headboats, Recreational Fishing. Bookmark the permalink. Both comments and trackbacks are currently closed.